Yesterday I wrote about tuna, and one of the most popular kinds of tuna is albacore. 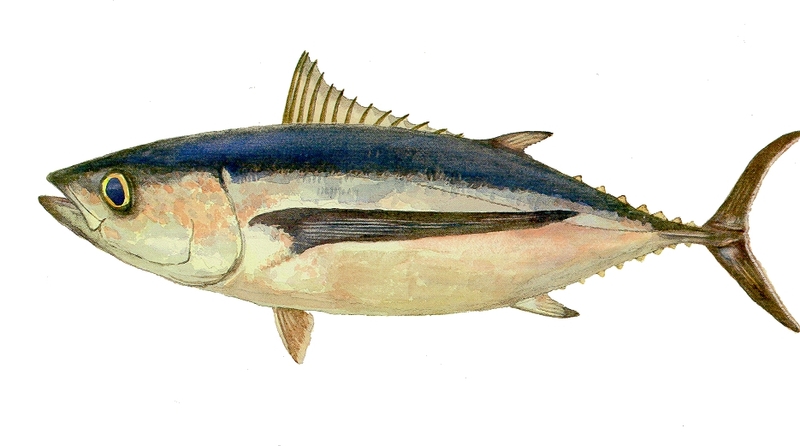 Today, not only will I show that albacore also has a Semitic origin, but I will even connect it to this week's parasha! From Sp. albacora, from Arab. albakrah, "the young camel," from al-, "the," and the collective noun bakr, "young camels," whence bakrah, "young she-camel," rel. to bikr, "virgin, woman having first child," from the stem of the verb bakara, "he rose early, did something early," and to Heb. bekhor, "first born," bekhorah, "the right of the first born," bikhrah, "young camel," bikkurah, "first ripe fig," bikkurim, "first fruit," Ethiop. bakur, "first born." 1579, "large variety of tuna," from Port. albacora, from Arabic al bakara pl. of buko "young camel, heifer," the fish so called for its size. Back to the root בכר. I've always had a hard time remembering whether the plural for first-born in Hebrew is בכורים or בכורות - as in the Fast of the First-Born before Pesach: is it Taanit Bechorim or Taanit Bechorot? Steinberg writes that bechorim applies to people, and bechorot applies to animals - I assume he's limiting that distinction to Biblical Hebrew. Klein writes that the root בגר - "to grow up, mature", is probably a collateral form of בכר . Both Jastrow and Steinberg connect בכר with בקר - "to break forth, be early". Stahl also discusses this in relation to the Arabic word for tomorrow - bukra, which he spells in Hebrew בוכרה. He writes that bukra is connected to בכר - "to be early", and there are those that connect it to boker - בוקר - morning as well. He points out that in many languages there is a connection between "morning" and "tomorrow" - including English, where "tomorrow" means "on the morrow" - in the morning. We were talking to our five year old daughter about the story of Yaakov and Esav, and why it's good to be a "bechor" בכור (firstborn). Our three year old son was listening, and then said "It's dark. But it's quiet." 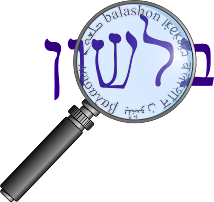 We had no idea what he was talking about, until we realized he thought we said what was it like to be "b'chor" בחור -- in a hole.